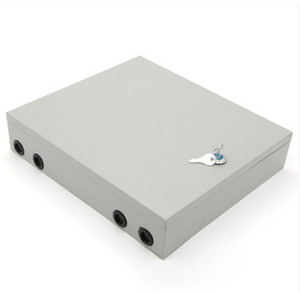 Supply factory price FTTx terminal box splice capacity 144FO wall or pole mounted terminal fiber optic distribution box Detailed Features Construction-lightweight plastic offers strength and resistance to chemical and U. 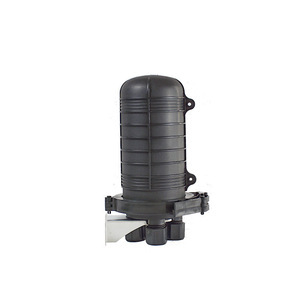 Reach the IP68 waterproofing grade ---Material : PC ABS ALLOY Adopt unique design, open and close to be flexible, can combine to guard against theft Aplications Widely used in FTTH access network. Telecommunication Networks CATV Networks Data communications Networks Local Area Networks Product show Built-in safety lock Waterproof interface Preset insert Sealing strip Certificates Packing & Delivery We are a professional fiber optic product manufacturer with Many experiences of successful foreign trade. Hangzhou Premlink Tech Co., Ltd. The splice trays are jointed with a hinge at one side, which makes the operation in each tray easier. There are several grooves that can be used according to the customer's own needs. Q5: What is your payment term9 A: Not accept credit or net 30 days. Wall mounting and pole mounting application . 2pcs cable entry ports; cable can be entry without cutting. 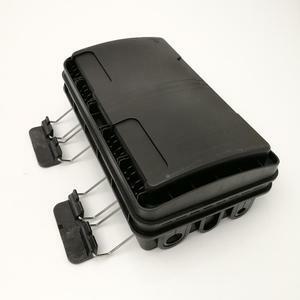 2pcs splitter box Can load max. 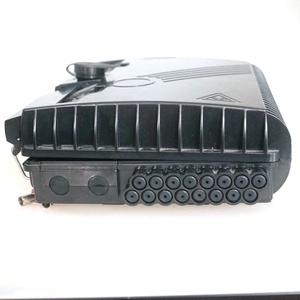 The role of the connector box is connect two cables. 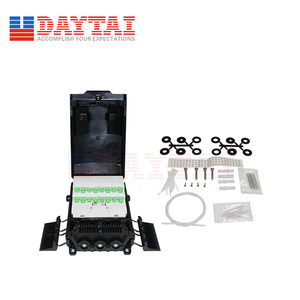 Terminal box is to connect cable GenWei fiber protection. Their functions are used in front end user wiring. How about the sample time9What is the payment9 Sample time:3~10days after order & samples confirmed. deposit, and balance is after the order is finished. Send your Inquiry Details in the Below for free sample , Click " Send " Now! Integrated with splice tray and cable management rods. Manage fibers in a reasonable fiber radius condition. 1*16 Splitter can be installed as an option. Hangzhou OpticTrans Communication Tech. Co., Ltd.
2. Air shipment: We can adopt the bulk air shipment for the medium orders. If you have your own agent to collect the commodity at the local air port, this method may be suitable for you. But it depends on different condition, any order is welcomed , and we will package the product in the safest way. 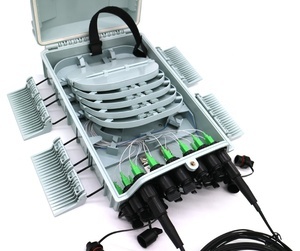 Alibaba.com offers 310 fiber splice pole mount distribution box products. About 73% of these are fiber optic equipment, 1% are electronic & instrument enclosures. 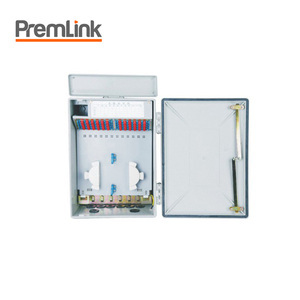 A wide variety of fiber splice pole mount distribution box options are available to you, such as distribution box, junction box. You can also choose from free samples, paid samples. 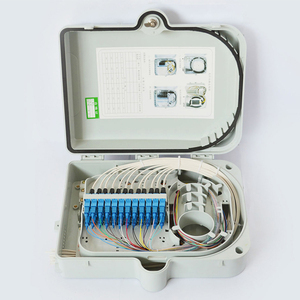 There are 231 fiber splice pole mount distribution box suppliers, mainly located in Asia. The top supplying country is China (Mainland), which supply 100% of fiber splice pole mount distribution box respectively. Fiber splice pole mount distribution box products are most popular in Southeast Asia, South America, and North America. You can ensure product safety by selecting from certified suppliers, including 91 with ISO9001, 26 with Other, and 13 with OHSAS18001 certification.